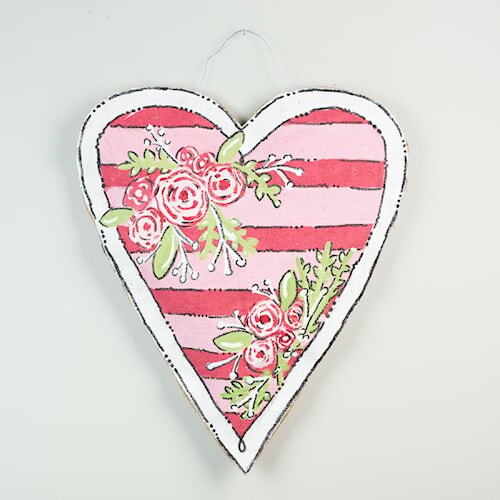 Hand Painted Pink Burlee Heart with Red Stipes Wall or Door Hanger. Wire hanger. 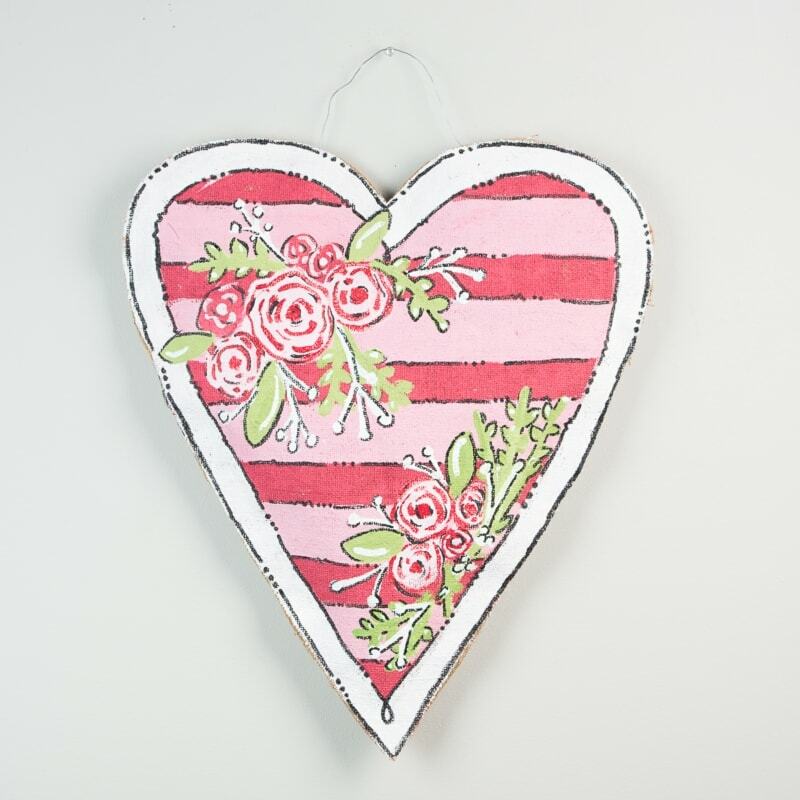 18 inches wide and 21 1/2 inches tall.